The sai is a vastly misunderstood weapon. You may have seen certain cartoon characters using them. They were probably slicing apart a robot or something, but most sai don't even have a blade! It looks a little like a big dinner fork, meant for poking the vegetables on some kind of giant's plate! But, believe it or not, the sai's history begins as a defensive weapon. It started out as a Japanese weapon called the "jitte" (pronounced "jeet-teh"). 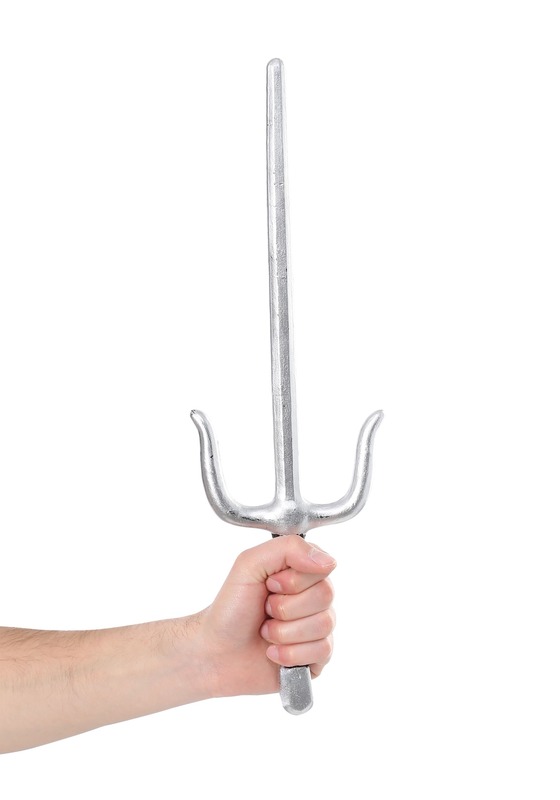 It was used to deflect and trap sword attacks, so it was a pretty handy ninja weapon back in feudal Japan! They added a point to it and an extra prong to the other side and viola! the sai was born. Of course, you probably came here to get a cool toy weapon to pair with your ninja costume and not for some weird history lesson on Okinawan weapons! Well, that's where this exclusive toy weapon set comes into play. 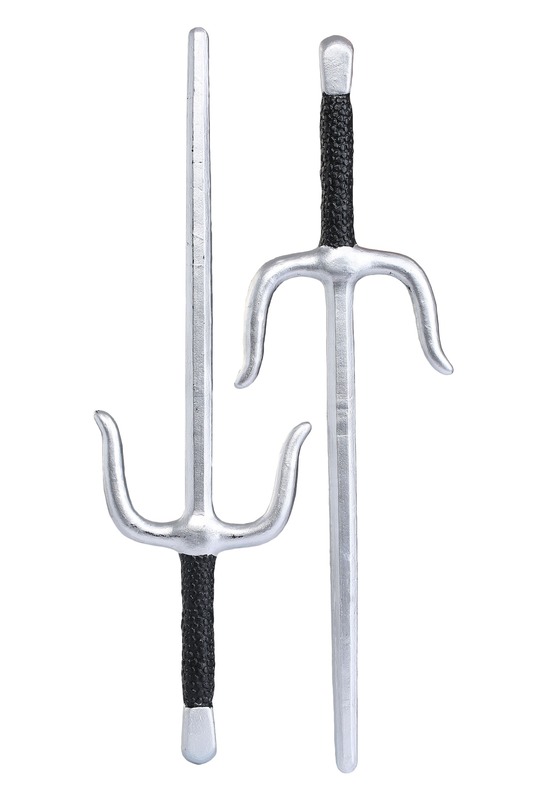 This pair of sai weapons are designed to look like a real pair of Okinawan weapons! They're made out of molded plastic and have a metallic silver paint job on the top. Each one measures about 16 inches long and has a black handle. Now, these sai might not help you block and sword blows (they're toys after all), but they will make you look like one prepared ninja warrior when you add them to your costume!